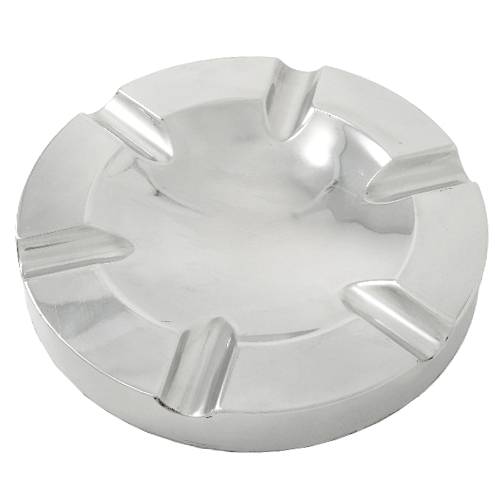 This stylized aluminum cigar ashtray that will add a touch of class to your smoking area. Perfect for up to six cigars this ashtray would easily fit in a boardroom or even your living room, this ashtray has a felt bottom to protect your surfaces. This ashtray is perfect for keeping ashes contained while enjoying a fine cigar with friends or colleagues. The modern, sleek design matches any decor, and makes a great gift.